According to PC & CC Police statistics. By May 31, 1977, the city had 79 high rise apartment buildings violating regulations on fire prevention in construction investment. Of which, there are 78 apartment buildings. This not only shows the “greedy” attitude of the investors before the law but also the disregard for the lives of residents. 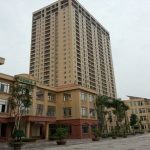 Remarkably, in the list of 79 works violated above, in Nhan Chinh ward of Thanh Xuan district, there are 5 unqualified apartment projects that have brought people in. Specifically, the Golden West apartment project (No. 2 Le Van Thiem) is invested by Vietnam Trade Development Joint Stock Company (Vietradico). At present, this project has about 400 apartments have people moving but not accepted fire protection. Located next to Golden West, Times Tower Commercial Building at 2.6 Le Van Luong Street, Hanoi Construction Joint Stock Company No. 1 (HACC1) as the investor. Not subject to the condition of fire pre-acceptance, but the owner also handed over the apartment and resident. 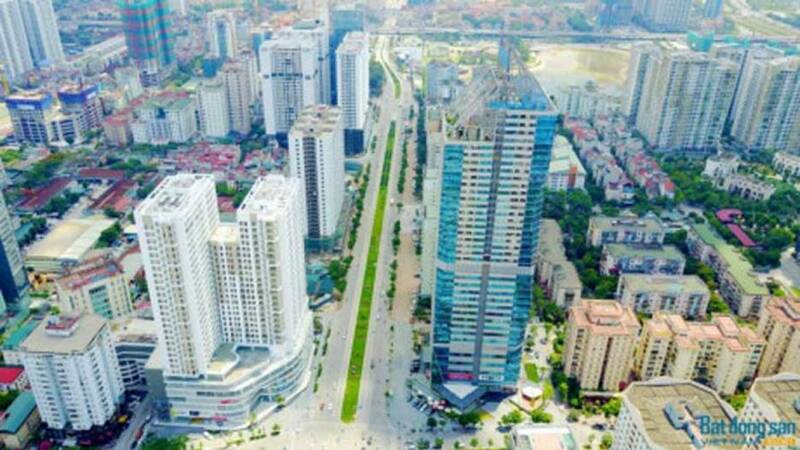 Next is Hanoi Center Point (85 Le Van Luong) project invested by Hanoi Construction Investment Company No. 2 (Hacinco). From the beginning of 2017, when the project is still under construction, the investor has cooperated with other trading companies, putting two commercial floors of the project into operation. 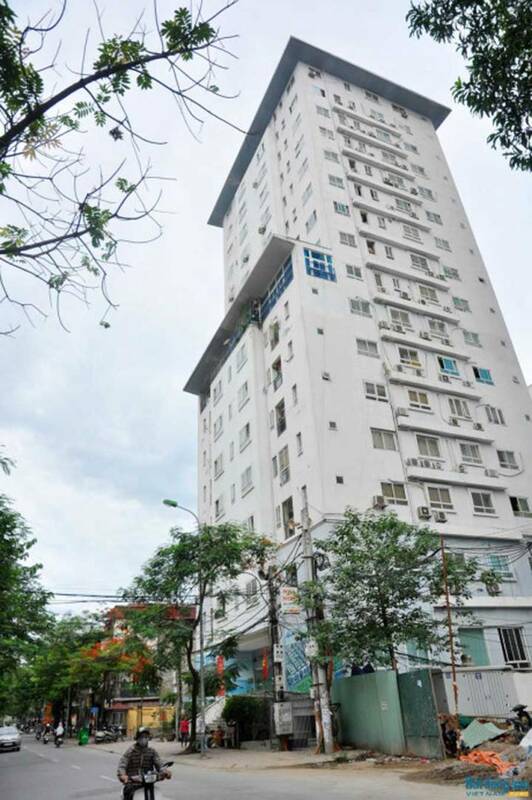 Facing Hanoi Center Point, Diamond Flower Tower condominium by the Housing Development and Investment Joint Stock Company No. 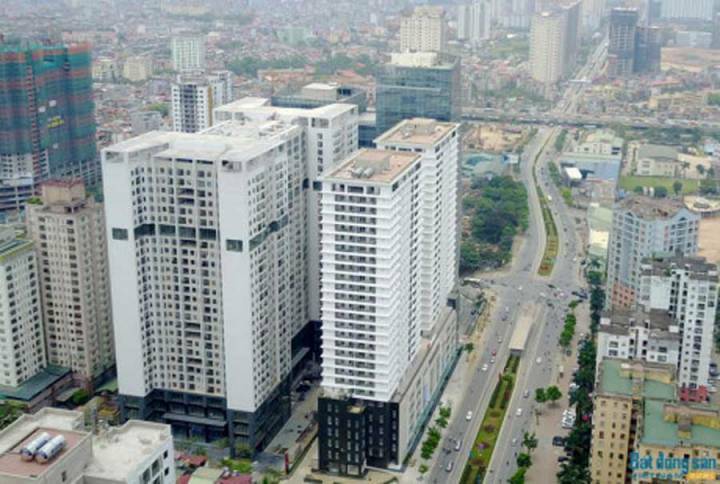 6 Hanoi (Handico 6) as the investor has not been accepted for fire protection but has been put into use from the middle. In 2016, apartments, offices for rent and shopping floors are busy, “ignoring” the law on fire prevention and fighting. Besides the violations of the four apartment buildings, in Nhan Chinh ward, the apartment building of TX 05 on Nguy Nhu Kon Tum street has violated the fire safety regulations for many years. Local government stand outside … the safety of the people? The violation of fire safety in the apartment complex in Nhan Chinh ward has been prolonged but still not resolved. The urgent concerns of the people have been evident in the focus of the protesters against the investor and expect the authorities to take part soon. For example, the residents of the Golden West apartment has repeatedly focused on banners protest against violations of the investor Vietradico. Cause is caused by Vietradico violated the commitment, not to ensure fire safety for residents. Reflected by residents of the Golden West, they have repeatedly submitted petitions to investors and authorities but not resolved. While the wrong doing of the owner was not implemented, the local authorities in Nhan Chinh ward did not intervene strongly on the grounds of insufficient authority. In another development, the mistake at the Center Point Hanoi project has lasted all the time but not completely resolved. The investor has put two commercial floors into operation when this project is not eligible for safety. On 17/12/2016, Tran Anh World JSC (Tran Anh Company) has opened a new business location at Center Point Hanoi (85 Le Van Luong, Nhan Chinh). On 23/12/2016, the authorities took an unexpected test of Tran Anh Electrical Center. Based on the results of the inspection, the People’s Committee of Nhan Chinh Ward, FPD No. 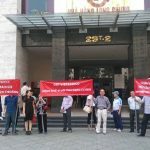 8 has requested the investor of Hacinco – the project owner; Tran Anh Company – Business units must immediately cease activities of Tran Anh Center for electrical appliances due to failing to ensure the regulations on fire safety. Continuing the wrong at Hanoi Center Point project, on 28/12/2016, Hoang Duong Trading and Service Joint Stock Company (Hoang Duong company) continues to use the ground at the first floor of the project is not completed. This good to open Canifa fashion store. The total area of ​​Le Van Luong base is Canifa introduced more than 400m2 with two Canifa shopping stalls and Canifa kids. Until now, businesses are still blunt business while the works are still not eligible for fire safety. From the fact that the violation was not handled, the People’s Committee of Nhan Chinh ward has fulfilled its responsibility to supervise, inspect and report on the implementation and remediation of the breach by the investor in accordance with the law to the authorities. heavy? Due to weak capacity or any other reason that the handling of offense has not been done thoroughly? 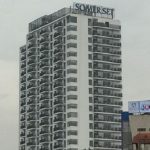 Lawyer Tran Anh Tuan said that first responsibility belongs to the owner of the apartment project itself for profit, because the investor has not been qualified for fire safety. Despite the safety of life, health and property of customers. 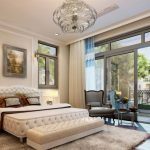 Besides, according to Lawyer Tran Anh Tuan, there is obviously a slight refraction, ignoring or not drastic in forcing the owners of this project to complete the fire prevention system and be granted the approval certificate and then be put to use. So, the responsibility of inspection and supervision of the authorities or just stop at the “public list” of the works violate the terms of fire prevention and continued to leave the safety, The network, health, assets of the people to the investors only know how to make a profit? It is really a matter should be concerned, clarify and determine the responsibility to each individual, trousers. This is not only the problem of the authorities in the field of fire prevention but also a common problem in management in our country today. The loose and superficial management is part of the cause of the tragic accidents, “said Tran Anh Tuan.